Rayudu was excluded from the squad and Vijay Shankar was instead preferred for the No.4 slot. The Board for Control of Cricket in India (BCCI) recently announced the Indian 15-member squad for the upcoming ICC World Cup 2019 to be held in England and Wales and starts on May 30. 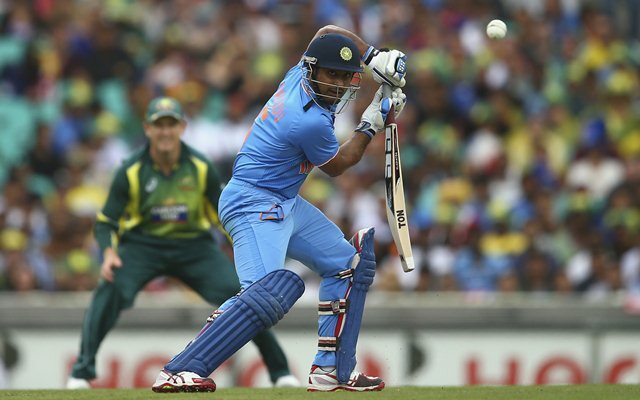 India is scheduled to play their first match against South Africa on June 5 at Rose Bowl. One of the biggest surprises that BCCI chief selector MSK Prasad threw at the fans was the exclusion of Ambati Rayudu, who was almost certain for the no.4 slot in the playing XI of the Indian team. Rayudu had been a part of the team since the tour of England in 2018, where he was picked up after a very good IPL 2018 season with the Chennai Super Kings. Since then, he averaged more than 50 at the no.4 slot and even scored a century against West Indies at home. Rayudu has also announced retirement from first-class cricket for Hyderabad in order to prepare for the mega ICC event. The Hyderabad cricketer recently got backing from captain Virat Kohli also and played an amazing innings against New Zealand in an ODI to show that selectors had put their faith in the right person. However, the past few months have not been good for the right-hander, as he fared poorly against Australia at home in the five-match ODI series and the fact that Vijay Shankar proved his mettle at that spot and his added dimension of being a bowler and amazing fielder meant that Rayudu was left behind in the race. At the age of 33, this was perhaps his best and final chance to make it into the Indian team for the World Cup, as by the time the next World Cup comes in 2023, he will be more than 37 years old. The news of him coming so close to realizing his dream of playing in a World Cup and not been included in the final squad has hit hard on many of the Indian cricket fans. Most of these fans were expecting Rayudu to play at the no.4 spot and do well in England, but now most of them are thinking whether Rayudu will continue with cricket or not. Rayudu ko retirement dila diya isi chakkar m ..
yea, all off sudden, end of international career for Rayudu.. It's end for rayudu now ..irrespective of outcome of WC, he won't play again ..selectors will try young players after wc..
More than exclusion of Rishabh Pant, Ambati Rayudu's exclusion is surprising!!! End of line for him?